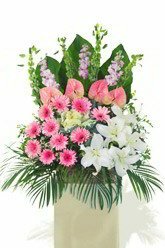 A combination of Oriental Lilies, Gerberas and Anthuriums are combined to prepare this moving and spirited testimonial in honor of the one who will be deeply missed. (Lilies may be sent closed/partially closed in order to prevent damage and to last longer)Please Note: Sympathy stands are traditionally sent to funerals and funeral homes, not to residential addresses. 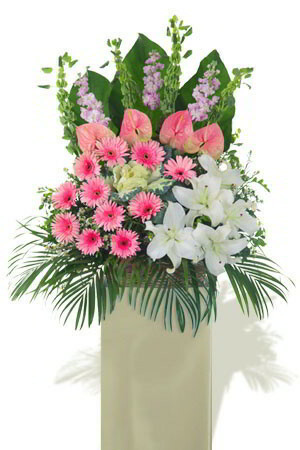 zFlowers.com recommends sending a sympathy bouquet to residential addresses as opposed to Sympathy Stands. Thank you. Flowers was well received.